PANS and PANDAS are infection-induced autoimmune conditions that disrupt a patient’s normal neurologic functioning, resulting in a sudden onset of Obsessive Compulsive Disorder (OCD) and/or motor tics. PANS and PANDAS can include a variety of other symptoms such as anorexia (food restrictions), anxiety, irritability, hyperactivity, sleep disturbances, mood swings and urinary problems. Both PANS and PANDAS are associated with infection-triggered autoimmune responses known as “molecular mimicry”. This occurs when our immune system mistakenly attacks normal body tissues because of the structural similarities between a particular molecule on an infectious agent and the molecules in our own body tissues. Rheumatic Fever is one example of molecular mimicry where the immune system is triggered to attack the heart valves in certain individuals after experiencing a strep infection. In PANS and PANDAS, it is believed that something similar occurs where antibodies are triggered to attack a part of the brain called the Basal Ganglia, which is understood to be responsible for movement and behavior. 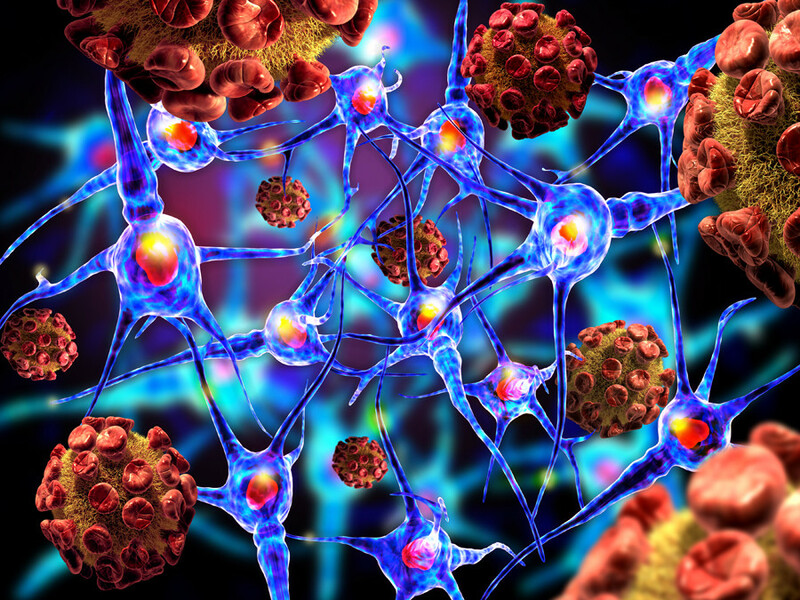 When some patients are exposed to certain bacteria, viruses or germs, their immune system may go awry, producing autoantibodies that attack not only the invading germs but healthy “receptors” and other targets in the brain. This misguided reaction can result in inflammation in the brain, triggering an abrupt onset of symptoms. All too often, children with PANS and PANDAS are misdiagnosed as having a psychiatric illness and may be treated solely with psychotropic drugs to manage their symptoms. Unfortunately, for PANS and PANDAS patients this does not address the root cause of the symptoms, which is an infection-triggered autoimmune condition. Studies have shown that when given appropriate anti-infective and/or immunological treatment, PANS and PANDAS patients experience symptom resolution, or their symptoms are dramatically reduced. Obtaining a correct diagnosis can be challenging, because PANS and PANDAS symptoms can mimic other illnesses. 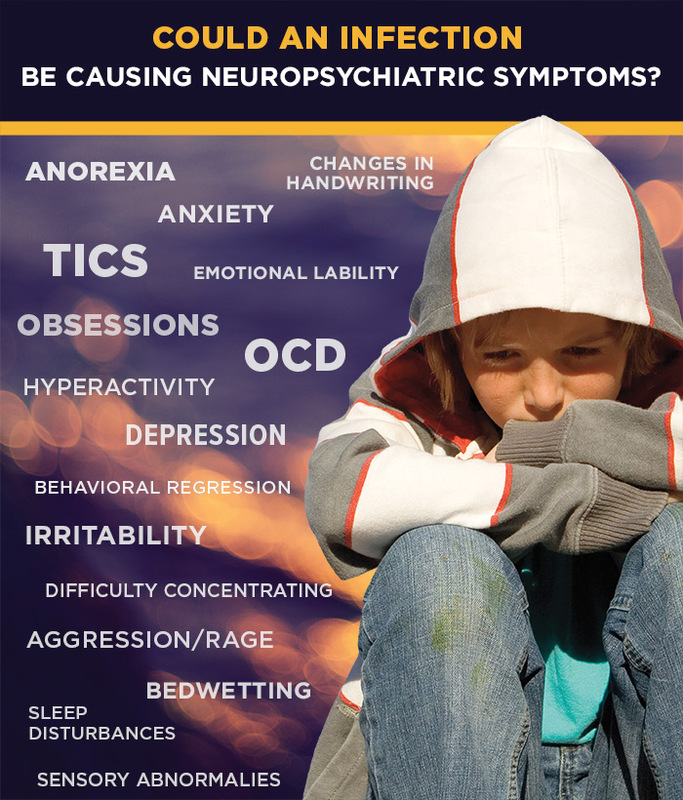 “We can’t say how many kids with psychiatric symptoms have an underlying immune or inflammatory component to their disorder,” says Dr. Kiki Chang, professor of psychiatry and behavioral sciences at Stanford University Medical Center. “But given the burgeoning research indicating that inflammation drives mood disorders and other psychiatric problems, it’s likely to be a large subset of children and even adults diagnosed with psychiatric illnesses.” (Source: Brain Attack, Stanford Medicine, Fall 2014). PANS and PANDAS are clinical diagnoses, therefore it is very important to have a physician who understands this condition. 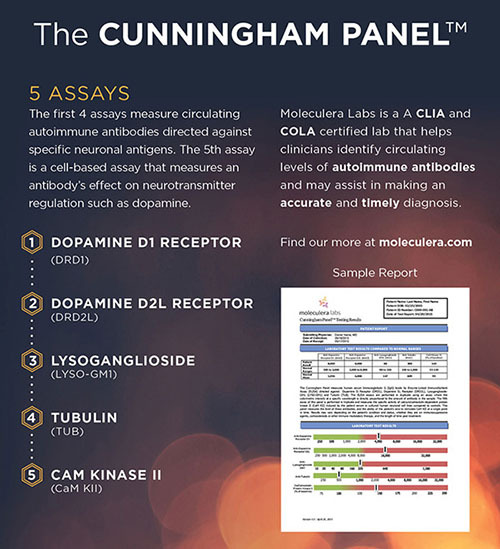 Testing for autoimmune titers directed against neuronal targets (Cunningham Panel™) serve as an aid to physicians in their clinical diagnosis of PANS and PANDAS.